Yee-Yoong (“YY”) Yong has extensive experience in representing hospitals and academic medical centers, faculty practice plans and other academic providers, ambulatory surgical centers, federally qualified health centers (FQHCs), medical groups, independent physician associations (IPAs), physicians, management services organizations, DME companies and home health agencies in business transactions and regulatory compliance matters. She also advises clients on physician self-referral (Stark law), fraud and abuse, Medicare and Medi-Cal provider enrollment and payment appeals, reimbursement, licensing, corporate practice of medicine, antitrust and other health care regulatory compliance matters. YY attended the National University of Singapore where she received her LLB (Hons) in 1979. She became a member of the Singapore Bar in 1980. 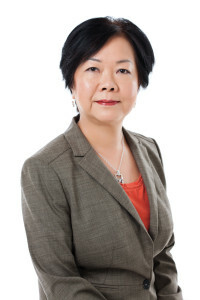 She practiced with the local law firm of Shook Lin & Bok, before joining Freshfields (now Freshfields Bruckhaus Deringer) in their Singapore and London offices. Her focus at that time was on commercial lending, corporate finance, and mergers and acquisitions. When YY relocated to Los Angeles, she joined Milbank, Tweed, Hadley & McCloy where she continued to represent banking institutions in secured and syndicated lending, with an emphasis in project financing. In 1992, she had an opportunity to join the in-house law department of National Medical Enterprises (now Tenet Healthcare Corporation) where she was able to put her corporate and banking experience to good use within the health care industry. It was there that she became fully immersed in managed care and health care integration models on a national level. In 1995, YY returned to private practice with Sidley Austin where she became a partner of their Los Angeles Health Care Group. Since 2005, YY has had her own private practice. Health care providers often face unique issues, and she believes they can best be serviced in a smaller firm setting. She believes that in her current practice, she can better provide personal attention and tailored advice to her clients. "The hospitals and faculty practice plan of our academic health sciences center have worked with the attorneys of Yong Gruber Associates, LLP for many years. They deliver high quality legal services at a fair price. We turn to them for experienced and cost-effective healthcare advice and representation. Their responses are always timely, reliable and excellent whether it’s a small vendor agreement, a compliance investigation, hospital-physician joint venture or a $120 Million facility purchase. They save us a lot of money in the process. If you want "large law firm" experience and expertise without the large firm fees, these are the attorneys for you." HealthSmart Management Services Organization, Inc.
"WesternU has partnered with Yong Gruber Associates, LLP on several projects over the past seven years. We’ve always been pleased and impressed with the quality and expedience of their counsel and services, and cannot recommend them highly enough for their expertise and cost-effectiveness." The foregoing endorsements do not constitute a guarantee, warranty, or prediction regarding the outcome of your legal matter. Copyright 2017 YGALAW. Another site by Conroy Creative Counsel.